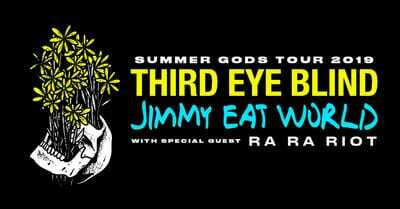 Days after announcing their co-headlining Summer Gods Tour, Third Eye Blind and Jimmy Eat World lead the ticketing market with over a dozen shows on the tour available for presale Wednesday. Concerts with the exclusive midweek presale include the bands’ upcoming gigs in Denver, Kansas City, Portland, Chicago, Nashville and San Francisco. Other top concerts joining the Summer Gods Tour among the ticket listings are Chris Stapleton’s All-American Road Show Tour and Sabrina Carpenter’s Singular Tour. Theatrical performances also make up a large portion of Wednesday’s listings, particularly performances of Come From Away in New Orleans and Cruel Intentions: The 90s Musical in Chicago.